If you've ever been stranded on a highway or involved in a vehicle accident there is a strong likelihood that you've dealt with a tow truck. In January 2017, Ontario introduced flat-rate towing fees as a provincial law. Because the industry is known for its scams, high-rates, and even for taking advantage of vulnerable people, the province decided to regulate rates. This has been a controversial change as tow truck companies claim the rate is not high enough, however, the rate is in place to protect and help innocent people who need this essential service. For the most part, tow truck companies operate with honesty and integrity and they do provide an essential service. However, the few who have scammed customers in the past are the reason these new regulations are in place. Have you been involved in an accident? Are you looking for a trusted mechanic for all of your vehicles needs? Contact the experienced professionals at Hansma today. Over the years, tow truck operators have been offering assistance to motorists, whether helping with a flat tire, providing assistance when a vehicle owner is locked out, and of course, providing towing services. However, there have been many instances where motorists have ended up paying more than they should have for basic towing services. According to this CBC news article, "Part of the problem is that until now, there have been no province-wide rules governing the towing industry. There are more than 400 municipalities and 3,000 tow-truck drivers in Ontario, and only 16 jurisdictions have bylaws that licence the towing industry." While the new rules regulate prices and help motorists, motorists should still be prepared by knowing their rights. If an incident occurs and you have roadside assistance, be sure to contact the tow company first and ensure you know exactly what you're agreeing to when it comes to rate and location of storage. After a recent incident in Ottawa, the Canadian Automobile Association is reminding motorists that there are new provincial rules in place to protect them when paying towing fees. Recently, an Ottawa couple ended up with a $4000 towing bill. "A lot of consumers were being subjected to excessive costs and very little information, and no access to their vehicles," said Elliott Silverstein, CAA's manager of government and community relations. As of January 1, 2017, the rules also require motorists to sign authorization before towing begins. They should receive an estimate of costs and these costs cannot be more than 10% of what was initially quoted. The Ontario government's overall legislation "Fighting Fraud and Reducing Automobile Insurance Rates Act" came into effect Jan. 1. This is aimed at protecting consumers and regulating the towing industry. Toronto has introduced a flat towing rate of $250, with the possibility of an additional $100 should the vehicle need to be winched into position before towing. The towing itself would be free, however operators could start charging per kilometre travelled once outside city limits. Car accident rates and towing fees are different and vary in different cities. To download a PDF and learn more about GTA tow truck rates, click here. As noted above, 16 Ontario municipalities have introduced flat rates for their towing services. Waterloo Region has not introduced a flat rate yet, however, the provincial laws are still effective here in Kitchener-Waterloo protecting motorists from scams. - There are approximately 1,200 tow truck businesses, with 3,000 tow truck drivers in Ontario. - Sixteen Ontario municipalities currently have by-laws that license towing businesses. - The new rules are being brought forward as a result of changes made by Bill 15, Fighting Fraud and Reducing Automobile Insurance Rates Act. - The province is also taking action to improve the safety of tow trucks and their operators by including tow trucks in the province's existing Commercial Vehicle Operator's Registration system as of January 1, 2017. This change will improve road safety through government monitoring and enforcement measures. 1. Scanning - this refers to when a towing company uses police scanners to monitor accidents and show up at the scene unannounced. The tow company often will try to convince the now vulnerable driver to get towed to a body shop, even if it's unnecessary. 2. Inflated Fees - Sometimes, tow truck companies will increase fees beyond auto insurance policy limits. Often times this will add expensive, unnecessary fees like gate, labour, and release fees to increase overall prices. 3. Added Damage - In extreme scam cases, certain body shops will give tow truck drivers a commision for bringing them business. These body shops will often hold cars to drive up storage prices and can even increase damage and repair costs. 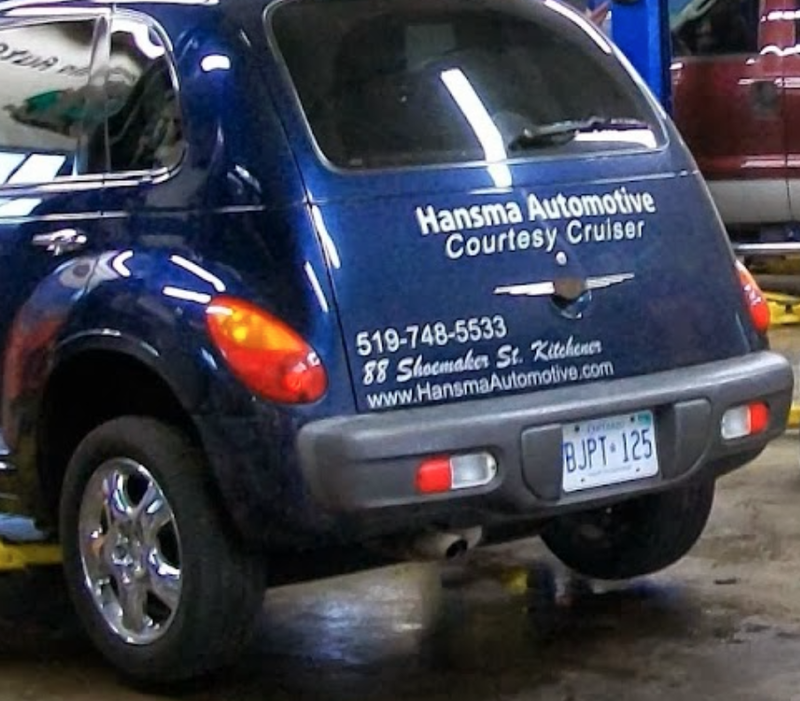 To avoid scams, never utilize a tow truck that shows up unannounced, research body shops ahead of time and only use ones you trust, like Hansma. Also, it is your right to request a quote and sign off on it before agreeing to using a towing service. For further information on towing scams in Ontario download this PDF. At Hansma we offer service with a difference. We have worked hard to gain a reputation for honesty and quality work. You can trust us to only recommend and carry out the repairs that you actually need. 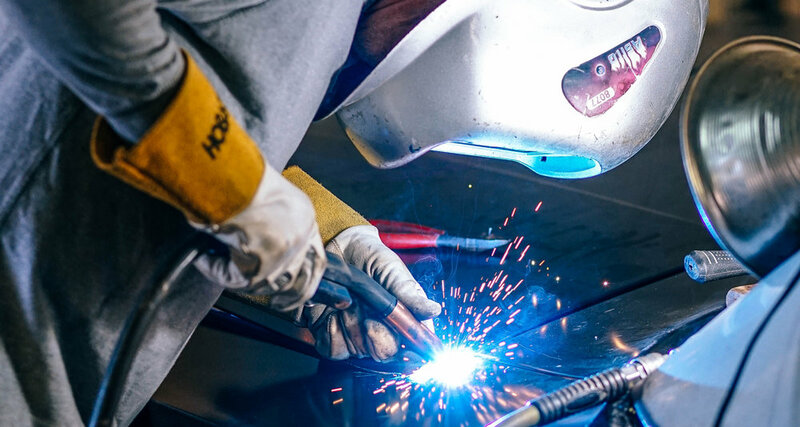 Whether you've been in an accident and are needing a place to send your car or if you are just looking for standard maintenance, we will let you know what you need done and when it should be done. Our customers have come to consider us as their mechanic friend. And as your mechanic friend, we promise to give you top-notch service at reasonable and competitive rates. Click here to meet our friendly team, read our testimonials, and contact us today and find out about the Hansma service difference for yourself. We are open every weekday from 8 AM to 6 PM. Come see us at 88 Shoemaker St. in Kitchener, Ontario. Posted on March 12, 2018 by Hansma Marketing.